Need it? Not sure how to get it? We can help. Our trained insurance enrollers at each of our health centers can help you find the insurance that is right for you. 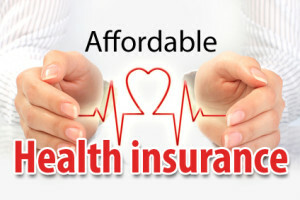 For instance, there are a number of health insurance programs available through the New York State of Health Marketplace, Child Health Plus (free or low-cost monthly premiums) and Medicaid (no monthly premiums) for those who may have difficulty accessing or affording health insurance directly from private insurance companies. At Finger Lakes Community Health, insurance assistance is available to all adults and children free of any cost to you. We have trained bilingual financial advocates who are familiar with community services and resources and special health insurance programs and work diligently to assist people in their search for accessible and affordable health insurance. They will help you understand the coverage you qualify for, help you select the best program to meet your needs, review the documentation for your application, and then help you complete the application. Services are available throughout the community at convenient daytime, evening, and weekend hours. Give us a call! Click here to watch this video in English and here in Spanish! Navigating Healthcare for the Uninsured and the Health Insurance Marketplace. We accept TRICARE for those who served in the military and their families. Contact any of our Certified Application Counselors at our health centers to learn more about this health plan. To learn more about these programs, stop into one of our health centers or call 315.531.9102.